Every once in a while, movie buffs look for movies that push them out of their comfort zones into uncharted territory. 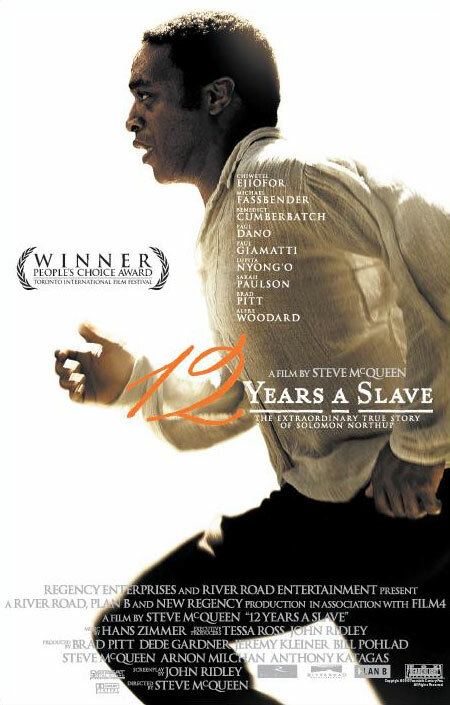 “12 Years A Slave”, the latest masterpiece from director Steve McQueen (“Hunger”, “Shame”) is such a movie. It’s a cinematic triumph that defines the American Slave Trade. Chiwetel Ejiofor delivers a bold and brilliantly immersive performance as a violin player living free in 1841 New York with his wife and children. One day he is tricked into a job in Washington and then winds up as a human slave in the Deep South. Then McQueen drops him and us into a sea of horrors that wouldn’t mean a damn if the story wasn’t so poignantly told and acted. McQueen’s intent is to create a film you can see, touch, feel and smell. “12 Years” surely is. All the actors bring their A games to this triumphant bruiser of a film. Ejiofor and Lupita Nyong’o (who plays a young female slave) give explosive, emotional performances. Is the film a bit too much? Damn straight. It wouldn’t be McQueen otherwise. He tops the list of modern day directors because, even when he doesn’t fully succeed, strives passionately to make movies that matter. His latest achievement, a defiantly uncompromised vision of a terrible chapter in American history is one of his best. It’s a fantastic movie that covers a lot of ground with an observant eye, and provides a great part for the exceptional Ejiofor. It isn’t too soon to be talking about Oscar where this actor is concerned; his humanity shines through every unforgettable scene.